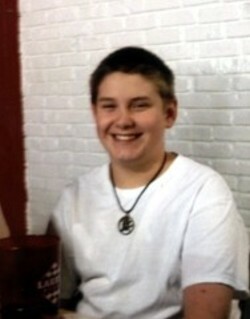 On New Year’s Day, 14-year-old Duncan Ballard ended his life. The family of the eighth-grader says that his suicide was the result of bullying. It’s hard to imagine that, in the year 2013, with all of the glory of the Internet and the “Information Age”, non-stop 24/7 news outlets, and social networks that, at times, supersedes the news outlets, that we are still trying to figure out how to put an end to the bullying that is causing teens to end their lives. It been said here to the point of repetitiveness that anyone, anyone! !, who doesn’t know by now that bullying is at the root of far-too-many teen suicides either has their head buried (fill in your own expression completion), or they just flat-out don’t care. Either case is problematic. Stories continue to pour in, on a daily basis, to the facebook blog page telling about being bullied, sometimes severely so. And, almost always, the stories are pretty much the same: They’re getting bullied at school; the teachers/school administrators pretty much turn a blind eye and do nothing; depression is followed by self-harm (in one way or another). And, sadly, sometimes it comes to this. Yet, even when it does come to this, STILL nothing is done. It’s as if today’s youth are expendable. They’re not. Not by a long shot. Duncan’s family described him as different, loving, smart. Creative. He was a songwriter and liked to write and sing his songs. He was also, they say, being “picked on” both at school and at home by his peers. New Year’s Day, he reached his breaking point. He went to the upstairs of his family’s house and ended his life. As for the responses from both the school administration and the Marion police department, you can recite their answers from memory. It doesn’t change much. So, then, what IS the answer? How do we even begin to get across to these young schoolyard bullies that their behavior is a.) unacceptable; and, b.) causing severe harm and even death? How do we get them to care!!?? How do we get the officials to change their mindset and approach when it comes to bullying? How do we get them to care!? And, how do we get the bullying victims, themselves, to understand that they’re stronger than they realize, that this incredibly cruel and sometimes even criminal behavior they’re enduring now will definitely pass? It’s unfortunate that in 2013 there are still so many unanswered questions. It’s even more unfortunate that there are still young people who are ending their lives because of the actions of a few, actions that there are no repercussions for!!!! Duncan Ballard should still be here, writing and singing his songs. Putting smiles on people’s faces, and in their hearts. Instead, some mean-spirited, perhaps even hateful kids chose him to pick on, to exercise their own low self-esteem on. They pushed him to the end of his young rope. Worse, there will be no consequences for their actions. Count on it. And, before you naysayers chime in with the “nobody-made-him-end-his-life; he-chose-to-do-that” rhetoric, save it for some of the parents of some of these young suicide victims where bullying was involved. I’m certain they’d have a thing or two to say to you about it. Rest in peace, Duncan. I sure wish I could’ve heard some of your music. 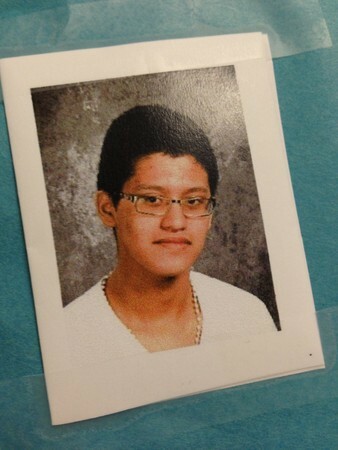 David Hernandez Barros, 16, ended his life on September 29th. David’s friends say that he had been bullied because of his sexual orientation. That David was an LGBT teen has been neither confirmed nor denied by his family at this point. However, friends say that he was attending Gay/Straight Alliance meetings at his school. In fact, according to the co-founders of the GSA in both the East Hampton Middle School and High School, David had attending one just days before his death. The tragedy in this particular case is that David did find a support group. At school. He did have a peer group that he could turn to that would accept him for who he was and allow him to simply be himself. At school. Unfortunately, at least in his own mind, there was a breakdown of support somewhere. And, sadly, like many, or most before him, we may never learn all of the answers. The Long Island Gay and Lesbian Youth network is a consortium of gay and lesbian outreach and support groups across Long Island. The network’s CEO, David Kilmnick, said this week that the circumstances facing gay and lesbian youth can be even more inhospitable outside of school than in school, especially for some members of the Hispanic immigrant community. “They don’t have the support system outside of school and with the East Hampton School District being 40 percent Latino, there is a great need for us to have a place for those students to come,” he said. Knowing, and having handy, resources…just in case of crisis. I am a health teacher in a public school. It is difficult to monitor or be aware of every situation. I emphasize to my students they have the power to stop the bullying. They witness the bullying behavior long before a teacher has any clue it is happening. Easy to blame school. What about the students who sat next to this wonderful young man in classes, in the lunch room, on the bus,etc. Fellow classmates need to stop sitting passively by watching and allow it to happen. Silence gives the bully more power over their targets. EVERYONE needs to stand up to the bully. The school cannot do it alone. Here’s the point: we’re never going to see a reduction in the incidences of bullying or in teen, bully-related suicide until we stop shaking our heads, bemoaning how horrible it it (and, it is!! ), screaming at the top of our lungs that “this has to end!” (and, it does) and start rolling up our sleeves and getting active in making it end. At the end of the day, it’s going to have to include elements of everything listed above. It’s going to take us adults completely retraining our own thought processes as it pertains to bullying and teen suicides. I wonder, at times, just how willing we are to really do that? Talk is one thing; taking action is entirely different. It’s going to take peers, students, friends, anybody who witnesses acts of bullying to step up, speak out, and intervene when you see or hear incidents of bullying. It’s simply the only way. Otherwise, we can talk, and complain about the situation until we’re blue in the face, but it will just continue. Sadly, once again we say farewell to one of our youth who, in his mind, simply ran out of options and out of time. That breaks my heart. Rest in peace, David. You can’t be bullied anymore. And, to your family and friends who are left to struggle, my heart is really aching as I write these words. I can only imagine how yours feel right now. I offer my sincerest condolences. This battle for acceptance, gay rights, gay marriage, tolerance, ending gay teen suicide all fits under one big rainbow-colored umbrella. Our army has some strong leaders. Fighters. When you have a 14-year-old openly gay student taking on the school board, that’s a fighter!! In seeing and listening to young people like Graeme Taylor gives you the sense that, through the darkness, there really is a bright light at the end of the tunnel. The message here for young people is it can and will get better if you just hang in there. Pass it on. Ever Wonder Where The Atmosphere of Hate Comes From? We live in a very complex world. Our society has become deeply divided and polarized. And, people have become all too comfortable with spewing hatred and intolerance all in the name of God. Case in point is that church, you know the one I’m talking about, that, in the name of God(so they believe), goes around to funerals and high schools with extremely toxic, hateful, and purely evil signs stating how much God hates fags, how fags should burn in hell, and worse. Here’s a deeper issue, and one that really merits looking into: these people have children, no doubt. So, what’s the lesson learned by the children? That it’s totally ok to hate as long as it’s done in the name of God. That intolerance is fine as long as God is in the mix. And, you wonder why there are hate-filled bullies in the schools? Well, wonder no more. Here’s the eye-opener: one state just sanctioned bullying as long as…. Even though it says “ronkempmusic” on the page, you’re probably not going to find any musical postings here. For that, you can check out my website, http://www.ronkempmusic.com, or my band’s website, http://www.theronkempproject.com. The band website even HAS a blog on it as well. Here, however, I will be sharing information, stories, updates, and opinions as it pertains to teen suicide in general, and gay teen suicide in specific. It’s a topic I’ve been calling myself trying to bring awareness to for well over a decade. However, recent developments have made me painfully aware that I haven’t been doing nearly enough. Well, enough is enough. It’s time we all, as adults, get serious about eradicating this epidemic of teen and gay teen suicide. And, the only way it’s going to happen is through education (YOU need to know what’s going on, and what the signs are) and persistence. Jamie Hubley, thank you for giving me my voice. This blog will always be for you.